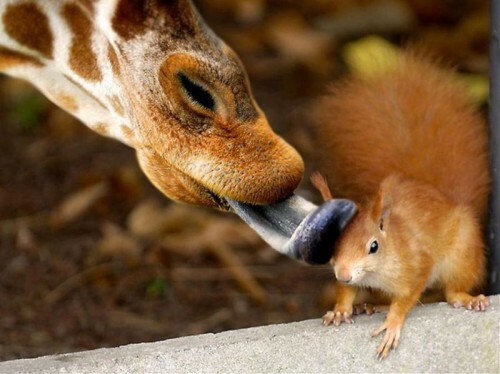 A giraffe’s tongue is black.. I learned something today. The color is actually kinda dark blue / purplish. Tag, you’re spit. Oops, I mean “it”. You got something in your eye. Lemme git it for you. Squirrel is paralyzed and may be unable to battle.